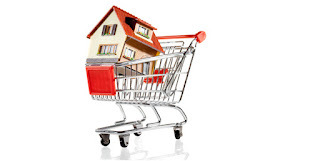 To better prepare for the buying process, brush up on the following basics. 1) Begin your home search. Your Realtor will help greatly with your home search, starting with setting up an automatic search of the local MLS (multiple-listing service) and sending you home listings for consideration. You can help too by promptly reviewing the listings sent from your Realtor and immediately following up with your Realtor on the homes you are interested in. You can further help by searching potential home options online or driving around the neighborhoods that interest you in search of for sale signs. There are usually lots of homes that fall within your search parameters. You may see a few homes or you may see several. Throughout the search, your Realtor will listen closely to your needs and will do his or her best to match home options to your expectations. These days, homebuyers have a wide variety of financing options, including federally-backed loans and loans that don’t require the standard 20% minimum down payment. There may also be programs for first-time homebuyers. Remember too, your mortgage interest rate will impact the total purchase price for your home, thus impacting your monthly mortgage payment. Be sure to shop around to see what rates are being offered. Your Realtor can provide you with recommendations of trusted lenders. 3) Find a home and make an offer. Once you narrow your search and find a home, it’s time to put some skin in the game and make an offer. Your real estate agent will help you decide how much money you want to offer, along with any conditions you want to ask for. Your real estate agent will be your point person for communication and negotiations, and will present the offer to the seller’s agent. From initial offer, the seller will either accept counter your offer. You then accept or counter again. Once both parties come to an agreement, you make a deposit on the home and the purchase transitions into escrow where the house goes off market, usually for 30 days. 4) Complete a home inspection. Always, always, always get a home inspection. Your Realtor can provide some recommendations for great home inspectors. Even if the home you put an offer down on seems perfect, you will want a licensed, experienced inspection of the property. This will ensure the quality, safety, and overall condition of the home, including all the areas you don’t typically see and think of when first seeing a home. The home inspector will provide a full report of findings following the inspection. From this report, you can determine any necessary repairs or issues with the home. This part of the process must be complete by the stipulated and agreed upon date in the Real Estate Purchase Contract. 5) Wait on the appraisal. Once you complete your inspection and due diligence of consideration of your purchase, your lender will order an appraisal on the home. A licensed appraiser is assigned to review the home and determine current market value. Once the appraisal is complete, the appraiser will share the total market value with your lender who will, in turn, share that information with you and your Realtor. Assuming the value comes in at your offer price or higher, the buying process will continue on to closing. This part of the process must also be complete by the stipulated and agreed upon date in the Real Estate Purchase Contract. 6) Close on your new home purchase. The final, exciting stage of the buying process is closing on the purchase. Leading up to closing, your title company will do a thorough background search on the property title to ensure ownership and check for any defaults on the property. Assuming there are no issues, your Realtor will work with you to schedule a date to sign and close on the home purchase. Typically, once you sign and submit the funds for payment, the final transaction can take 24 to 48 hours to fund and record, transferring legal ownership from the seller to you. Once the title company confirms everything has funded and recorded, your real estate agent will inform you that the home is yours and will transfer the keys from the seller to you. At this point, it’s all celebrations for your new home purchase - CONGRATULATIONS! Getting to this final step can seem lengthy and tedious, but a good agent and lender make it a much quicker and smoother process. Your Realtor is there to help you through the complete buying process. It can be a competitive market with lots of ups and downs. 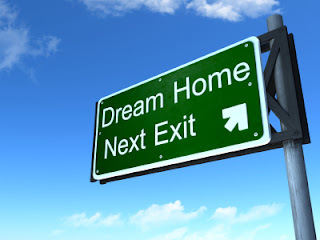 Hang in there and remember that, in the end, you will close on your perfect home.